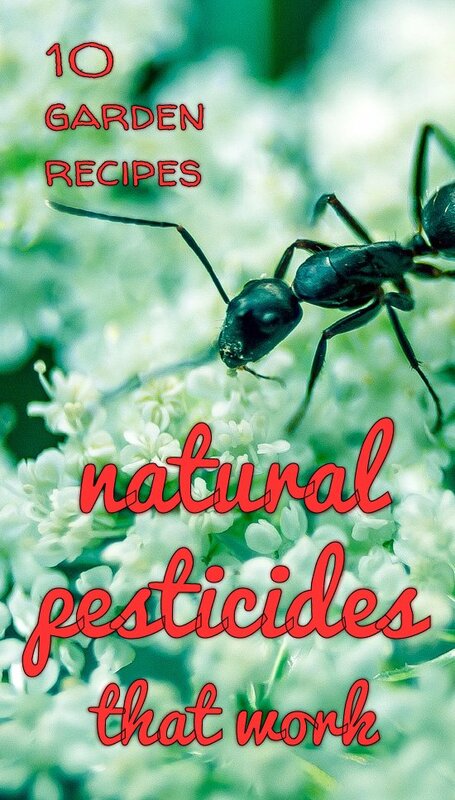 Natural pesticides have been coming to the rescue of gardeners for centuries. Whatever you need to sort out there’s already a way that works! Long before the pharmaceutical industry developed chemical pesticides people were coming up with remedies that didn’t poison themselves or the environment. So these recipes are tried and trusted and safe for the vegetable garden too. Most of these recipes are simple and they mainly use ingredients that you already have on hand. Neem oil is one of the most powerful of all natural pesticides but does not harm birds, bees or plants. It smells of garlic and has a bitter taste. neem oil against 50 of the most common insect pests. Neem oil is very wide-acting so make this your go-to natural pesticide. To make your own spray, add a few drops of neem oil and a few drops of liquid soap to 2 litres of warm water. Give it a stir and pour into a sprayer. Use it right away and make up a fresh batch whenever you need it. Re-apply after rain. Epsom salt burns slugs and beetles so they keep well away. The simplest method is to sprinkle the salts around the base of the plants. It’s not one of those things you have to keep re-applying after rain – it carries on working, just top it up every couple of weeks. 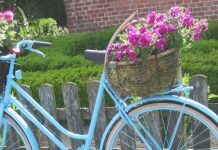 Adding Epsom salt to the garden not only deters pests. It adds magnesium to the soil which helps roots take up vital nutrients such as nitrogen, phosphorus and sulphur. If you’d rather use a spray, dissolve 100g of Epsom salt in 10l of water. Diatomaceous earth is a chalk-like powder made from the fossilised remains of miniscule aquatic organisms. It’s composed of a natural substance called silica. The tiny grains have sharp edges which don’t affect humans but can kill pests such as insects. Just sprinkle the powder on affected areas. Reapply if it rains. For garden use buy food grade Diatomaceous earth as the pool grade can cause respiratory issues. You can use Diatomaceous earth against garden pests such as aphids, ants, mites, earwigs, cockroaches, snails and slugs. But it won’t harm beneficial micro-organisms in the soil or worms. Surgical spirit* can be used against pests including aphids, whiteflies, and mealybugs. Mix one litre of water with 250ml of surgical spirit and spray on affected plants. Alcohol evaporates quickly so it should kill the pests without harming the plant. If the first application doesn’t kill all the pests repeat the application a few days later to remove them all. *The term ‘surgical spirit’ refers to 70% Isopropyl Alcohol. This is also known as Rubbing Alcohol, Methylated Spirits or Methanol. Tobacco spray was once commonly used to kill caterpillars and aphids. Add 125g of tobacco to 4 litres of water. Leave overnight until the liquid has a light brown colour then spray on affected plants. If it’s very dark dilute to a light brown shade. You can spray this pesticide on most plants but avoid those in the nightshade (Solanaceae) family – this includes potatoes, tomatoes, peppers and aubergine. 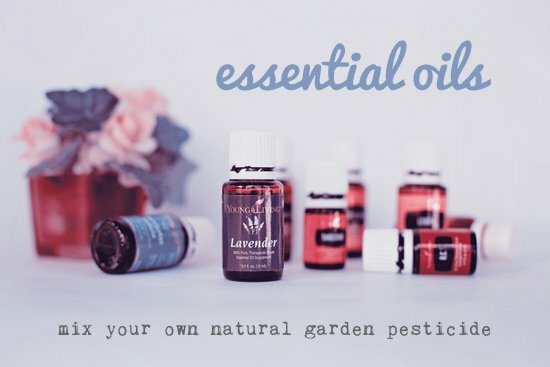 Essential oils are useful throughout the home and garden and they make good natural pesticides. You can create sprays based on individual essential oils to target particular pests or combine several oils to create an all-purpose spray. To deter pests mix 4–8 drops of essential oil in 4 litres of water. Spray onto the plant making sure to spray underneath leaves too. Use sparingly and repeat over a few days if necessary. Mix 50ml of liquid biodegradable soap and a few drops of orange oil in 4 litres of water. The oil helps it stick to the plants. As with all essential oil recipes, shake well. Spray on affected plants. Use it against aphids, slugs and snails, mealy bugs, spider mites and ants. Eucalyptus oil is a simple natural pesticide for flies and wasps. No need to even mix it up. Just sprinkle a few drops of eucalyptus oil straight from the bottle onto wherever the insects are found. Chrysanthemum flower tea is rich in the common pesticide ingredient pyrethrum. It’s effective on a wide range of insects but it’s safe for humans and pets. Pyrethrum repels or kills insects on contact but degrades in the environment after only a few hours. You can make your own spray by gathering chrysanthemum flowers. Boil 100g of dried flowers in 1 litre of water for twenty minutes. Strain the liquid and when it cools pour into a spray bottle and spray on any affected plants. The tea can be stored for up to two months so it doesn’t matter if you make more than you need right away. Add some neem oil for extra effectiveness. Garlic has strong antibacterial, antiviral, and anti-fungal properties with many benefits for you and your home. 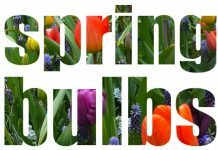 It’s good in the garden too because it’s properties make it a natural insect repellent. Crush one clove of garlic and one onion. Add one litre of water. Leave overnight or at least six hours. Add a dash of dish soap and a teaspoon of cayenne pepper then strain and pour into a sprayer bottle. The liquid will keep for a week. Use it a couple of times during the week if necessary. Avoid using garlic pesticide on your vegetables close to harvesting as it may affect the flavour. Spray this mixture on your plants to kill pests including aphids, white flies and spider mites. General pesticide advice: it’s best to spray pesticide in the morning before it gets too hot or in the early evening in order to avoid the risk of burning the leaves. Please remember that sprays should be used sparingly and only to treat infected plants – although natural pesticides are less harmful than branded pesticides they too can affect beneficial bugs also. 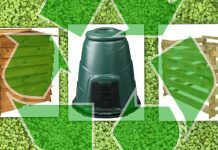 So many types of composter… which one is right for you?